Maximum height is 40 feet (limitation due to treeheight). vertical wire #1. 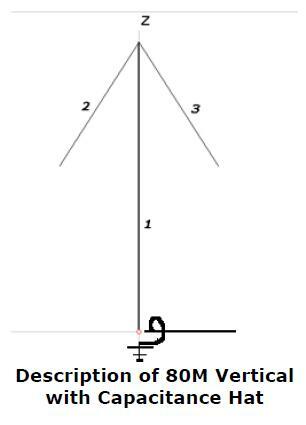 This makes the determining the angle moot, and simplifies installation. conductivity. The model included 3 radials, approximately 5 m long. results of the model are shown attached. After erecting the antenna, and driving in a 12mm copper ground rod, measurements were taken prior to attachment of radials. The resistance was very high. Radials were attached, and the measurements were retaken using a MFJ-259 SWR Analyzer. The results showed resonance at 3.720 MHz, with no tuning required. The 1.5:1 bandwidth was 3.620-3.82 MHz, or approximately 200 KHz. The band width definition of 1.5:1 was chosen to allow the use of an amplifier. After a period of time it was noticed that the SWR crept up from 1:1 at 3.720 to approximately 1.3:1 at 3.825 MHz, with no changes to the antenna. 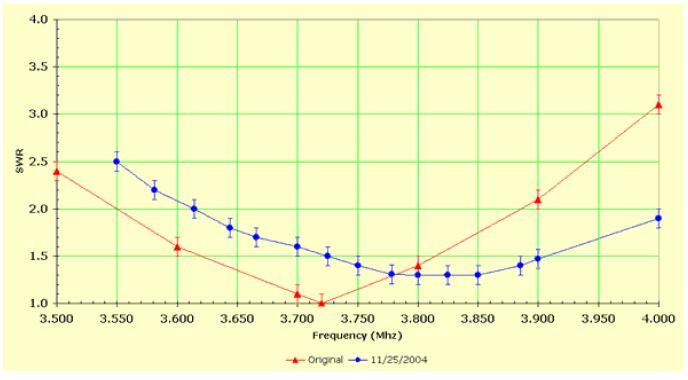 Examining the change with an MFJ-259 SWR Analyser, it was found that the antenna had reduced capacitance, resulting in a shift in the resonance, and an increase in SWR. Since the antenna was hung rom a tree, and the antenna was erected when leaves were still on the trees, it is suspected that the presence of leaves increased the effective capacitance of the antenna. When the leaves fell for the winter, the capacitace effect was reduced, and the SWR increased. 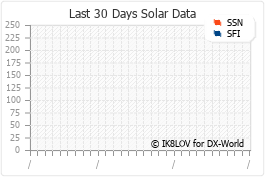 Also, the moisture of the ground in August when the antenna was erected was ery low. In November, substantial rain occurred, resulting in better ground conductivity. This had the effect of increasing the resonance, and broadening the 1.5:1 SWR range. So it is expected that the curves will return to the original SWR once leaves appear on the trees again. 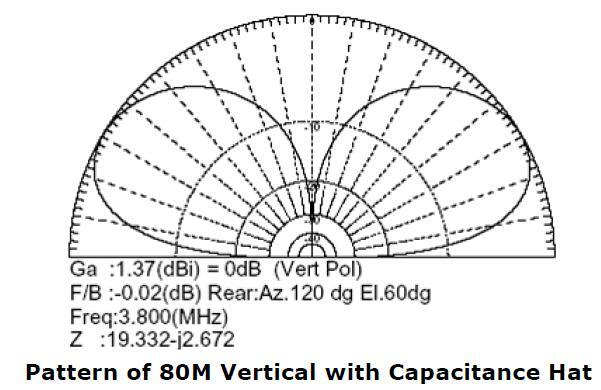 The SWR curves of the antenna are on picture 3.
vertical. Each gave good signal reports, with some even commenting on the strength of the signal.